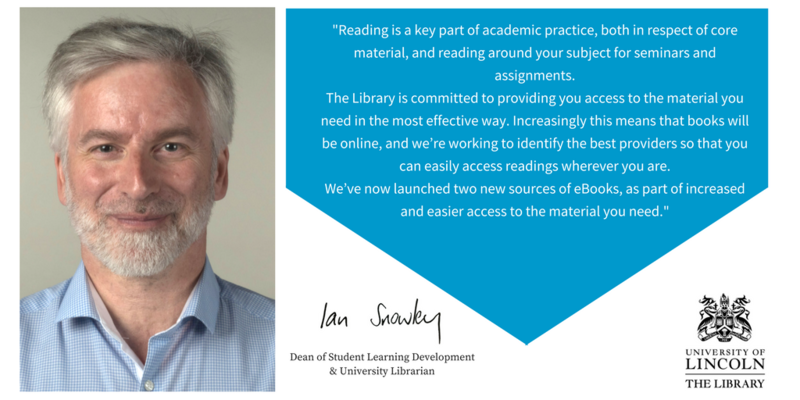 Welcome to our guide on how to use eBooks at the University of Lincoln Library. We've invested in a selection of new eBooks on a range of subjects on the newly acquired Bibliotech and Ebook Central platforms to help increase access to academic texts. Whilst you can access many of our eBooks through the Library Search, this guide provides more detail. Log-in below to explore these new resources and use this guide to find out more about our other eBook collections. Bibliotech provides access to a collection of downloadable key texts. Ebook Central provides authoritative access to a huge collection of full-text eBooks across a range of subject areas.